Complying with food regulations and, more importantly, quality standards, requires practical and reliable methods to estimate a product’s shelf life. 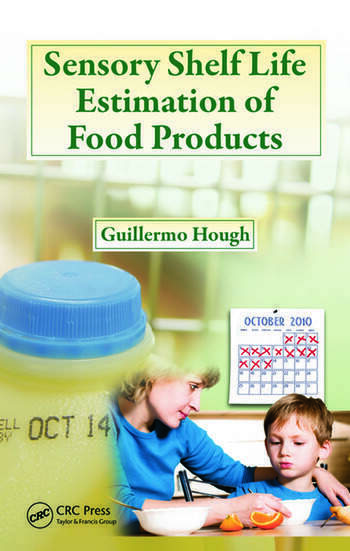 Emphasizing the importance of the consumer’s perception of when food has reached the end of its shelf life, Sensory Shelf Life Estimation of Food Products provides a tool for adequately predicting sensory shelf life (SSL). 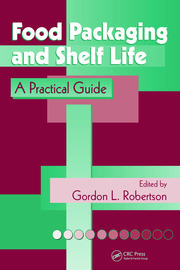 The book delineates the basics of sensory analysis and how it applies to shelf-life studies and includes discussions of experimental design aspects, survival analysis methodology, and its extensions. It provides detailed instructions and software functions for performing SSL estimations, accompanied by data sets and the R Statistical Package functions that are available for download. The author presents the cut-off point methodology used to estimate SSL when the survival analysis methods get complicated. He includes a chapter on accelerated storage covering kinetics, calculations of prediction confidence intervals and potential pitfalls. He also examines extensions of survival analysis statistics to other areas of food quality such as optimum concentration of ingredients and optimum cooking temperatures. Microbiologically stable foods, such as biscuits or mayonnaise, will have their shelf-life defined by the changes in their sensory properties. Many fresh foods, such as yogurt or pasta, after relatively prolonged storage may be microbiologically safe to eat but rejected due to changes in their sensory properties. Shelf life in most food products is determined by sensory issues instead of microbiological or chemical concerns. 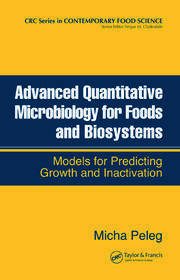 This book offers key techniques for experimental design, storage, consumer testing procedures, and calculations. It includes methods for accelerated storage experiments, thoroughly explains statistical data treatment, and includes practical examples. Shelf Life Centered on the Product or on Its Interaction with the Consumer? Is There a Way to Deal with Totally New Products? When is the Survival Statistics Methodology Difficult to Apply? A research scientist with the Commission de Ivestigaciones Cientificas, Guillermo Hough is a renowned academic in sensory/consumer sciences. Dr. Hough conducts his research in the area of sensory science and has become an expert in the field of sensory shelf life, having published 20 refereed articles on this theme. A dynamic speaker at international conferences and symposiums, he also lead the collaborative Ibero-American project (CYTED program), which stated the basics for the estimation and modelization of sensory shelf life. His course on sensory science and shelf life has been very popular in Argentina, Chile, Colombia, Italy, Mexico, New York and Paris. His group is in close contact with local and regional food companies, performing a wide range of sensory tests and panel testing. Dr. Hough works at the Instituto Superior Experimental de Tecnologia Alimentaria in the small town of Nueve de Julio, Provincia de Buenos Aires, Argentina.